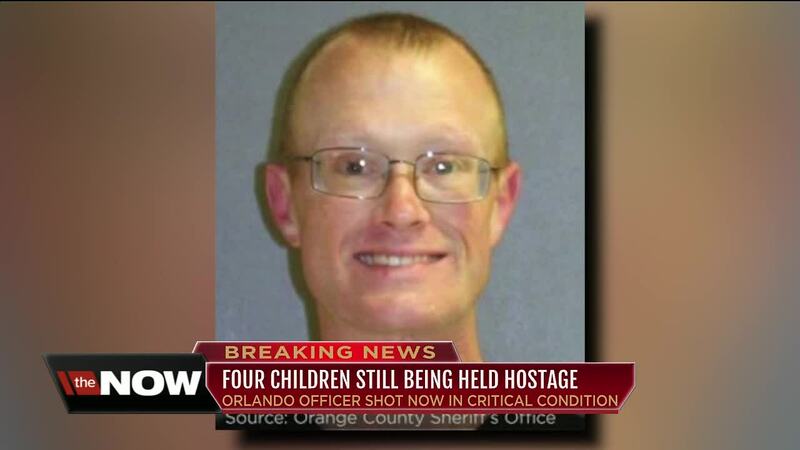 ORLANDO, Fla. — Four children are dead following a hostage situation and a standoff with a suspect accused of shooting an Orlando police officer in the face. 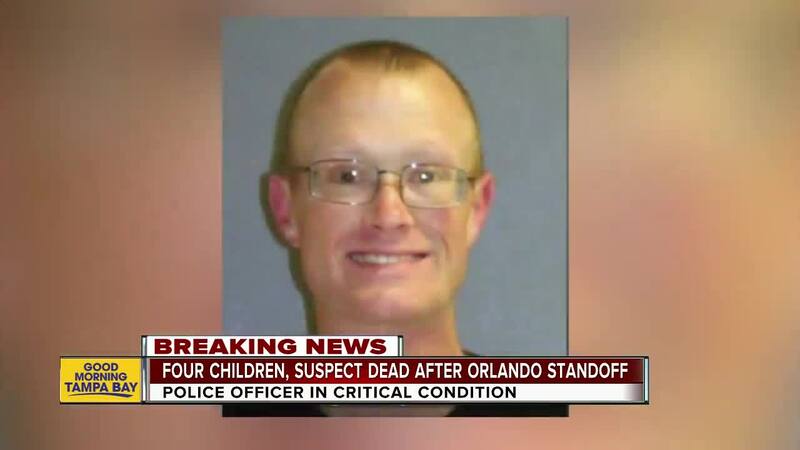 Nearly 24 hours after an Orlando police officer was shot in the face and four children were taken hostage, Orlando Police Chief John Mina told reporters that the gunman was dead, and all four children in the apartment died of "apparent gunshot wounds." Mina said they made contact with Gary Lindsey around 8:30 p.m. Monday night. While trying to give Lindsey a cell phone with better reception to communicate, the chief said one of his officers noticed a child in the home appeared to be dead. That is when Mina said they made the decision to try and save the other children. ABC Action News reporter Michael Paluska heard a loud explosion just before 9:00 p.m. Mina said that was the SWAT team going in to try and save the children. Officers found all four children, ages 1, 6, 10, and 11, dead. Lindsey committed suicide inside a bedroom closet. It is not clear at this point how long the children were deceased inside the apartment. 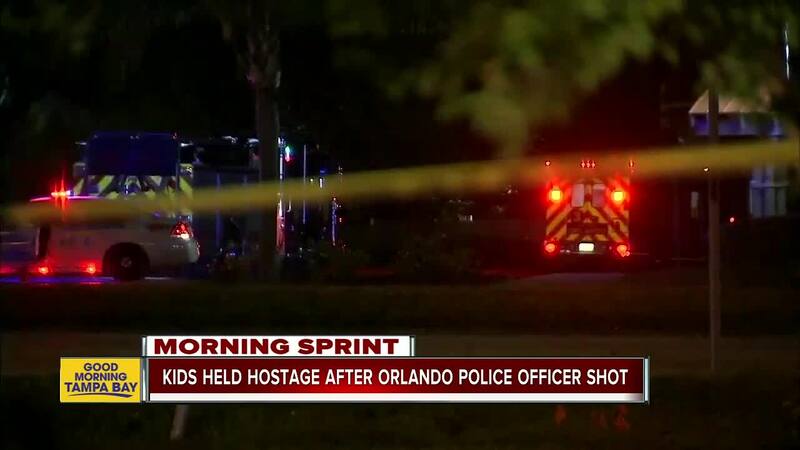 The standoff started around 11:45 p.m. Sunday night when an officer with the Orlando Police Department was shot while responding to a domestic violence call at the Westbrook Apartment complex near Universal. As officers approached Lindsey opened fire striking Ofc. Kevin Valencia. The officer was shot in the eye receiving a very serious injury which required surgery. Chief Mina stated during a news conference Monday morning, the officer was out of surgery and recovering. His condition was listed as critical. 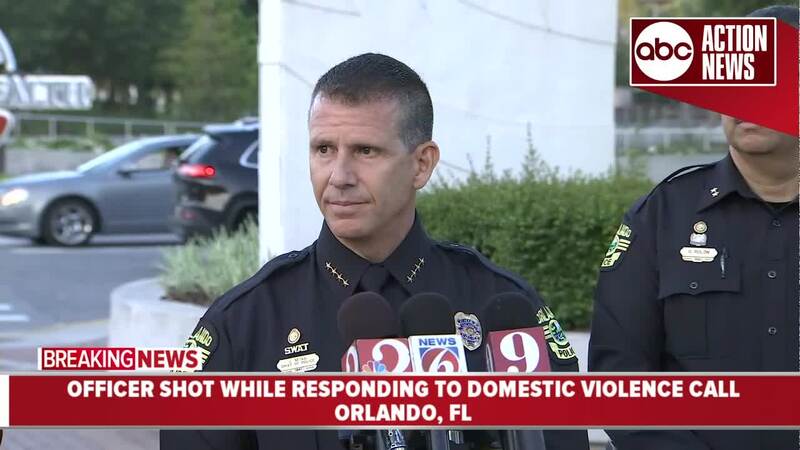 Orlando Police Chief John Mina provided more information on the incident during a press conference on Monday morning. Mina said Lindsey had previous arrests for domestic violence and arson. He was on felony probation at the time the standoff began. During a 3:00 p.m. news conference Monday, more than 14 hours after the standoff began, Mina told reporters he believed the children were still alive. Mina said a police crisis intervention team had been trying to talk Lindsey into surrendering peacefully. "Right now the suspect is barricaded in his apartment," Mina said at the time. "He has spoken with us a couple of times, but has hung up the phone on us a couple of times, too." The incident began when Lindsey's girlfriend contacted police to report that he had battered her, and she directed officers to an apartment in the Westbrook complex, Mina said. The mother met with police outside the complex, authorities said. 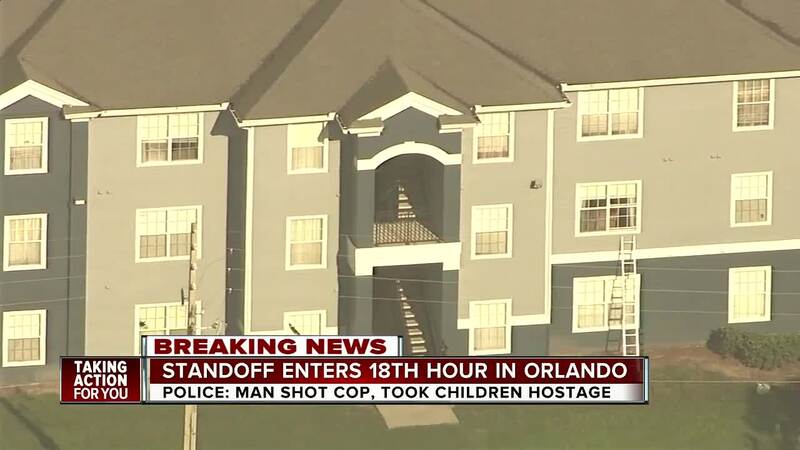 The child hostages are ages 1, 6, 10 and 11. Lindsey is the father of two of the children, and the other two belong to his girlfriend. Late Monday night members of the Orange County Sheriff's Office brought in floodlights and several portable toilets were dropped off. The chief said they did everything they could to make sure this ended peacefully with no children or Lindsey getting hurt.